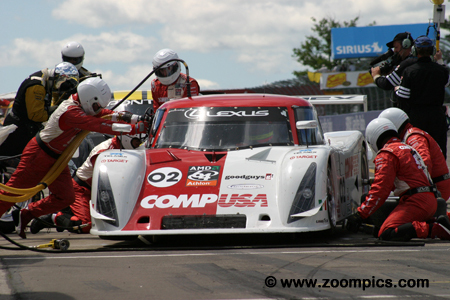 The 2004 Grand American Road Racing Championship (Grand Am) was the fifth season for the series. A business model which controlled costs, had stable rules and avoided being on dependent of automotive manufacturers attracted many private teams. 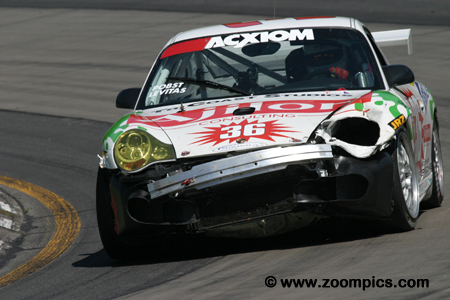 Based on the failure, of its predecessor, the United States Road Racing Championship in 1999 critics suggested that the Grand Am would suffer a similar fate. This was proving not to be the case as entries were continuing to grow with each year. Grand Touring (GT): In 2004, rules were established that allowed GT and GTS cars to compete in the same category. As a result, 28 different models from 19 manufacturers were eligible for this class. Examples include Porsche, BMW, Chevrolet, Mazda, Ferrari and Pontiac. As with the Daytona Prototypes, engine displacement was used to establish the weight of different makes and models. 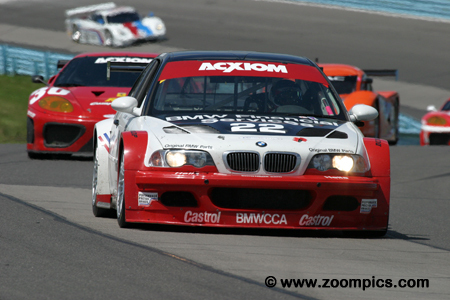 Super Grand Sports (SGS): Cars competing in 2003s Grand Am Cup Series Grand Sport I category were moved to the Grand Am division. Included in this class are production-based cars such as the Porsche 911 GT3, Chevrolet Corvette and Ferrari 360. As in the past, the season opened in February with the Rolex 24 at Daytona International Speedway and ended at California Speedway. In between these two venues, there were events at Homestead-Miami, Mont-Tremblant, Watkins Glen, Barber Motorsports Park, Mid-Ohio Sports Car Course, Phoenix International Raceway and Virginia International Raceway. There was a total of twelve events with the series competing at Daytona, Watkins Glen and Homestead-Miami twice. 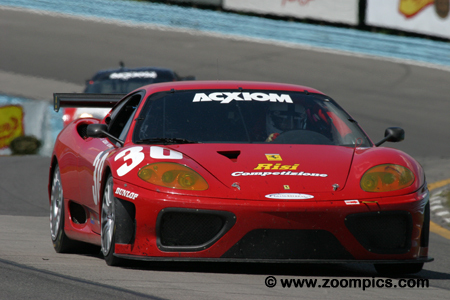 Watkins Glen International was race five of the twelve rounds contested during the 2004 Grand-Am season. It was one of the longer events on the schedule at six hours in length. The first six-hour contest at Watkins Glen was held in 1968 for the International Championship of Makes. The long-distance race was an annual event until the track encountered financial difficulties in 1982. With new ownership in place, the facility began hosting shorter endurance events, until 1996 when the six-hour race returned and became a permanent fixture on Watkins Glen’s Calendar. 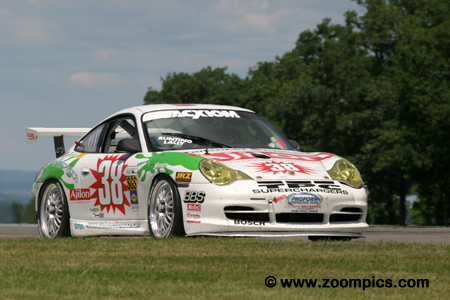 In 2003, the first year of the Grand Am class restructuring, it was difficult for the series to achieve the same number of entries as they had in previous years. A year later, the grid looked much healthier at Watkins Glen as there was a total of forty-four starters (16-Daytona Prototypes, 13-Grand Touring and 15-Super Grand Sports) versus twenty-five cars the previous year. 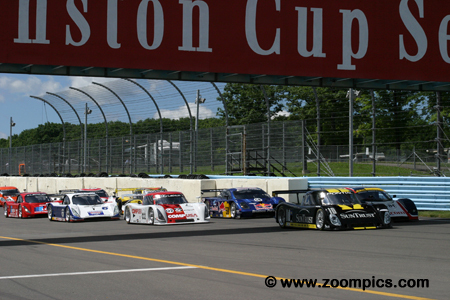 Forty-four cars exit Watkins Glen’s last corner and line-up in anticipation of the Starter’s green flag. Teams would compete for six hours around the 11-turn 3.4-mile road course. Leading the field are the pole-sitting No. 10 Riley MK XI of SunTrust Racing (their first of the 2004 season) and the G&W Motorsports Doran JE4 which were the early season points leaders. A drivetrain issue prevented the No. 01 Ganassi Riley from capturing its fifth straight pole position of the year. The car was mired down in the eleventh starting position, almost 5-seconds slower than the pole-sitter. Early in the race, the car had a sticking throttle and went a lap down while repairs were made. Using a strategy, that took advantage of the many the caution periods, Scott Pruett and Max Papis were able to get back on the lead lap and won the race. Max Angelelli was responsible for the qualifying the No. 10 SunTrust Racing Riley MK XI. He recorded the fastest time during the session which was over 2-seconds quicker than the second place starter. During the race, Angelelli would pull away from the field but all his hard work was undone by the many caution periods. In the end, Ganassi Racing had a better strategy for the many yellows and Angelelli and his co-driver Wayne Taylor finished second. At the end of the Super Grand Sport qualifying, Randy Pobst was at the top of the time sheet. This was the first pole of the season for Pobst and his co-driver, Michael Levitas. Despite a great start to the weekend ‘things would go downhill’ early in the race. An incident required an extended pit-stop but the team was able to make repairs and get the car back on track – the Porsche would retire after 72 laps with a radiator problem. For the fourth consecutive race weekend, Bill Auberlen put the No. 21 Prototype Technology Group BMW M3 on the pole. Auberlen and his co-driver Boris Said were the class of the field and finished two laps ahead of the second place Risi Competizione Ferrari. This was the pair’s fourth victory of the season. Qualifying second, albeit over 2-seconds behind the pole-sitter was Cort Wagner driving the G&W Motorsports Doran JE4. 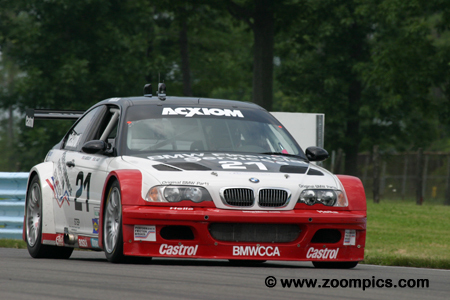 Sharing the BMW-powered Doran with Wagner was Brent Martini and Kelly Collins. During the race, the team would not enjoy the same success that had allowed them to lead the point standings early in the season. At the checkered flag, they finished twenty-fourth overall and twelfth in the Daytona Prototype class. 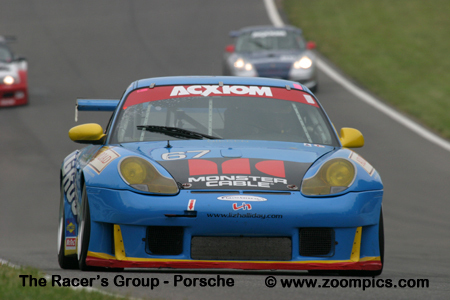 As had become commonplace this season, the TPC Racing Porsche GT3 Cups were at the front of the Super Grand Sport class when qualifying ended. Andy Lally and Marc Bunting would start behind the pole-sitters and their teammates, Randy Pobst and Michael Levitas. After Pobst and Levitas had their accident, it was up to them‘to carry the torch’. Lally and Bunting drove a perfect race and won the class by a one lap margin – their first win of the season. Appearing for the first time this season with a Ferrari 360 was Risi Competizione. Sharing the car was Anthony Lazzaro, Ralf Kelleners and Phil Bennett. At the Rolex 24, Risi entered a Maserati which finished eleventh in class. 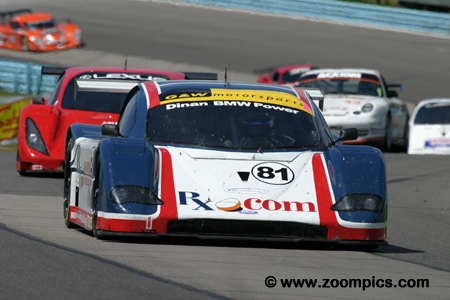 The team did much better at Watkins Glen finishing second in the Grand Touring category. They may have been a threat to the BMWs but a long pit-stop for a problem with the left front wheel prevented them from challenging the winners. It was the fourth place starter, Luis Diaz in the No. 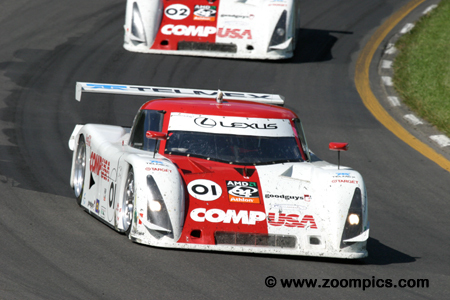 02 Chip Ganassi Racing Riley MK XI who led the opening laps of the six-hour event. Diaz and his driving partner, Jimmy Morales would lead a total of twenty laps during the first half of the contest. Always in contention, the pair would be in third place at the checked flag – it was their first podium of the season. 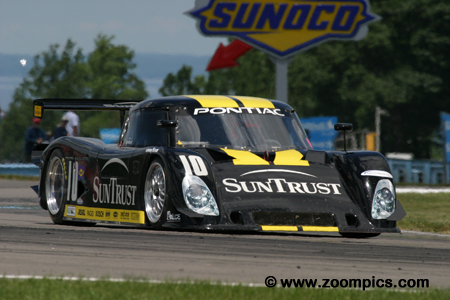 Series regulars Bill Adam and John Littlechild were joined by Spencer Pumpelly for the six-hour race at Watkins Glen. The No. 37 Turbo Performance Center Racing Porsche GT3 Cup started in the thirty-fifth grid position – ninth in the Super Grand Sport category. A combination of superb driving and an excellent pit strategy allowed the team to claim their best finished of the season – second place in class. 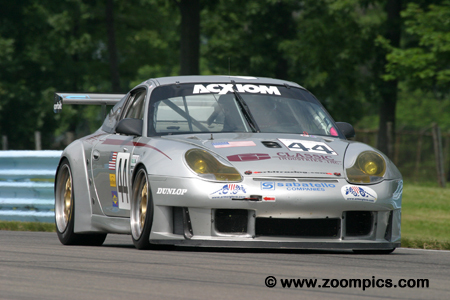 Starting twenty-third overall and seventh in the GT class was the Orbit Racing Porsche GT3RS. 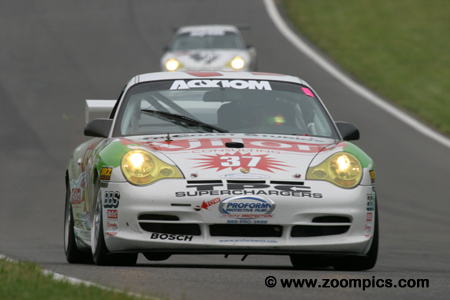 Sharing the Porsche were the father and son team of Joe and Joe Jr. Policastro along with 2000 Porsche Cup champion, Mike Fitzgerald. The team worked hard and found themselves in contention for a podium finish in the final hour. They were able to hold off the No. 66 The Racer’s Group Porsche and finished third in the Grand Touring category. Recording the second quickest time in the Grand Touring qualifying session was the No. 22 Prototype Technology Group BMW M3 shared by Joey Hand and Justin Marks. If the sister car driven by Bill Auberlen and Boris Said was the odds-on favourites to win the GT category then Hand and Marks were expected to finish second. Unfortunately, the pair suffered throttle issues and finished eighth in Grand Touring. The usually quick Super Grand Sport Porsche GT3 Cup entered by Doncaster Racing recorded a disappointing seventh-fastest qualifying time. The No. 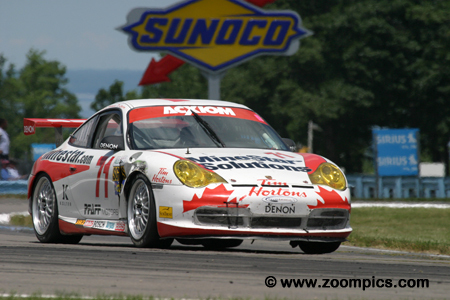 71 Porsche was driven by David Lacey, Greg Wilkins and Jean-Francois Dumoulin. During the race, the team improved on their starting position and at the checkered flag grabbed the final spot on the class podium.